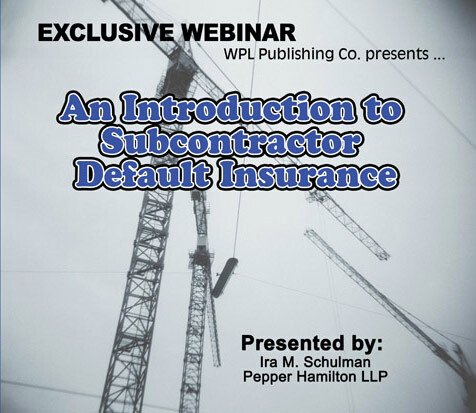 This presentation will provide you with a thorough understanding of the insurance requirements set forth in the 2017 AIA contract documents. 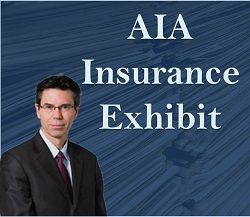 After attending this program, you will have a firm grasp on the information necessary to complete the Insurance Exhibit based upon your project’s specific insurance needs. 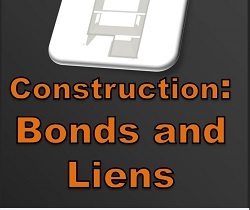 Learn best practices for collecting payments and avoiding unnecessary losses with bonds and liens. The importance of surety bonds in construction is immeasurable. Surety bonds provide financial security and construction assurance by assuring project owners that contractors will perform the work and pay specified subcontractors, laborers, and material suppliers. This webinar explores various issues surrounding the types of bonds commonly issued in the construction industry. 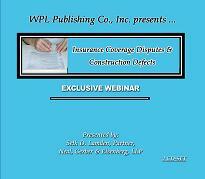 Learn best practices and factors to consider for cost or loss recovery through an insurance claim. Listen to one of the foremost construction insurance attorneys as Kirk Johnston explains the various types of coverages, who is responsible for providing coverage, who pays for the policies and who is covered. 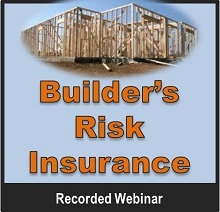 This program provides an overview of some of the most common coverage disputes that arise between builders’ risk insurers and their insureds and will provide best management practices for owners and contractors to follow when procuring builder’s risk insurance and presenting claims to builder's risk insurers to avoid such disputes. Insurance is a critical aspect in managing the risk of a construction project and protecting the profits of construction professionals. However, coordinating insurance from numerous contractors and subcontractors, understanding the multiple coverages involved, and trying to make sense of the morass of policies, coverage issues, and insurance companies involved when a claim arises can be nearly impossible. Out of this confusion came the "wrap" policy, which was intended to simplify the insurance process through the issuance of a single policy covering all participants engaged in a construction project. However, wraps have their own issues, such as questions about who is covered, what is covered, how much is the premium, and how the premium should be allocated. Get answers to these questions and more during this fascinating webinar. 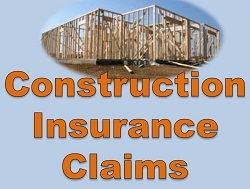 Many construction contracts today require that surety bonds be provided to protect various parties to the contract. 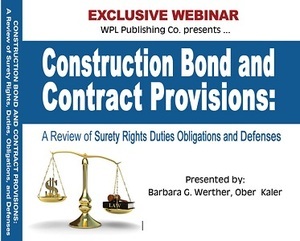 Most construction professionals are familiar with the process of obtaining surety bonds, but they may not be aware of the legal relationships that bonds establish among the principal (the contractor), the obligee (usually the owner) and the surety, and the liabilities that exist as a result.